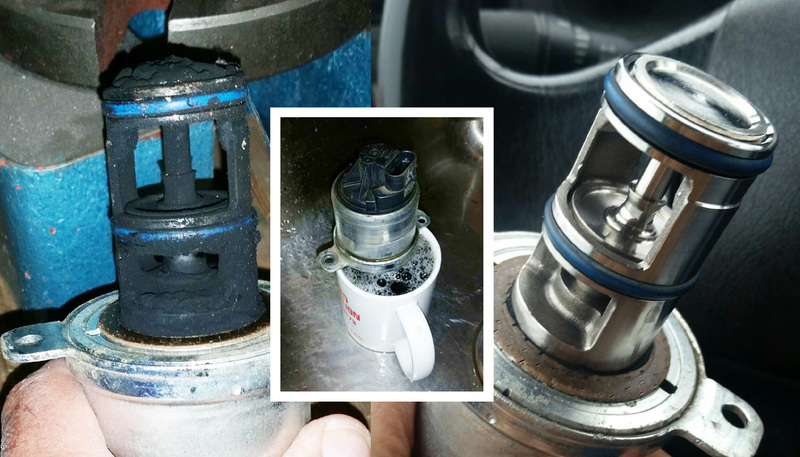 Remove dirty EGR Valve and allow to cool. Remove EGR Valve and submerge valve into Cobra Clean except for electrical parts. Soak for at least 2 hours and rinse.